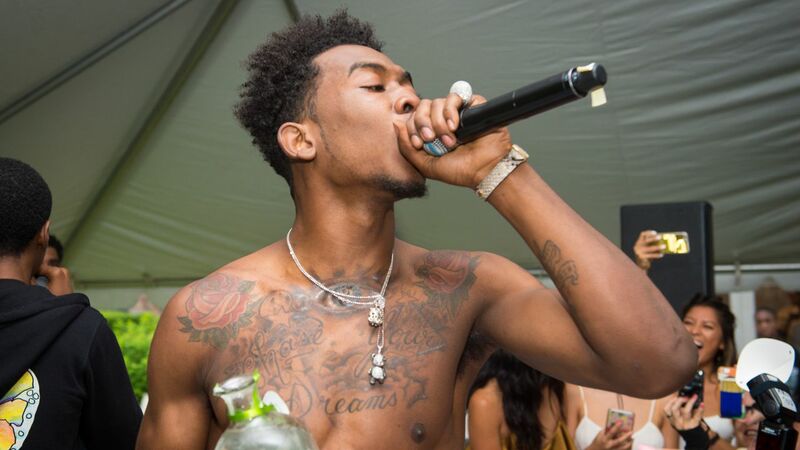 MIDTOWN, Manhattan (WABC) -- Brooklyn rapper Desiigner is a free man after prosecutors decided not to purse gun possession and drug distribution charges against him. The 19-year-old, whose real name is Sidney Royel Selby III, was released on his own recognizance Saturday some 36 hours after his arrest. He does face charges of drug possession and menacing. Police say he flashed a loaded gun at a driver Thursday night at the Lincoln Tunnel, and when cops pulled his SUV over, they allegedly found drugs inside. Desiigner emerged from court saying, when "you're doing right ... keeping it positive, they can't lock you down."